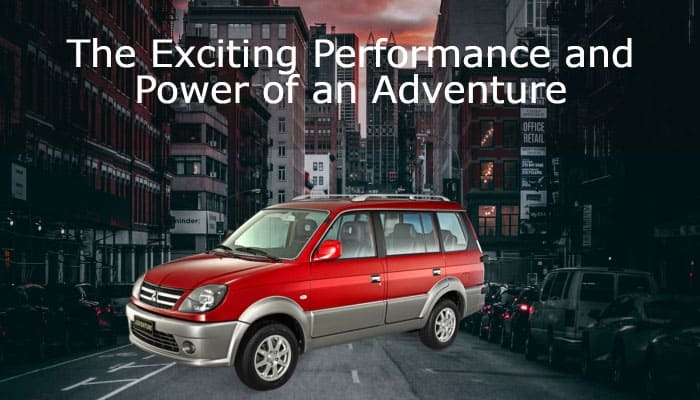 The car was marketed as the Adventure when it was launched in the Philippines last 1997. Since then, the Adventure has remained to be one of the most popular and reliable sports utility vehicles in the country, attributing to its powerful and trustworthy performance no matter the car may be in. 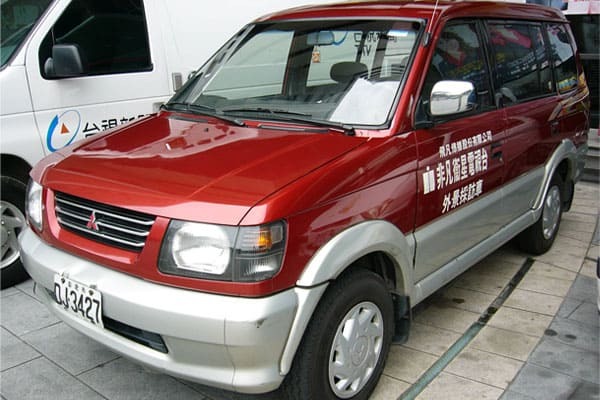 As a vehicle meant to address all sorts of road conditions or driver needs, the Adventure is a key release from the popular Japanese car manufacturer that definitely caters to the Asian market. And just perhaps, seeing how a large segment in this target market craves for excitement in the road, the many features that Mitsubishi has been able to integrate or package into this car offers a dynamic, trustworthy, and of course, an adventurous motoring experience for lucky Adventure owners. And excitement and adventure does feature highly, no matter the name this vehicle holds. From the Indonesian Kuda (which locally means horse) to the Freeca staple (a combination of the English word of “free,” and the Taiwanese “ca,” which means vehicle), this compact MPV definitely brings about the image of a rugged yet free-spirited ride into the wild (whether the wild is of natural surroundings or of an urban jungle!). Adventure is definitely out there, and with this set of wheels, one can definitely own and conquer it! Let’s find out more on what makes this vehicle such a hit! We’ve collected some important Mitsubishi Adventure specifications and benefits below. We hope that with this checklist, we’d be able to convince you and our other readers that this car is a must-own vehicle. First and foremost, and probably the most important, is the affordable price tag attached to the Adventure. For a car that will definitely deliver, one would assume that a hefty price is to be expected. 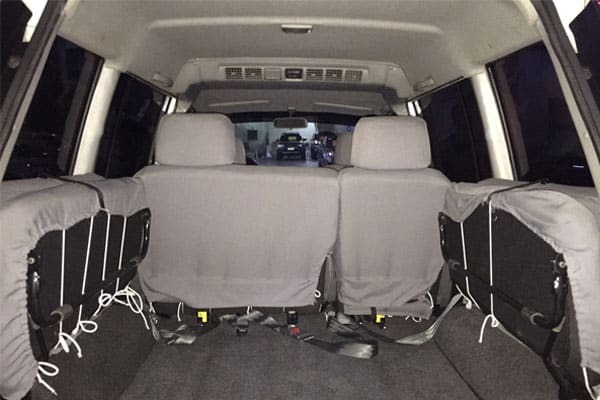 Well, that’s one thing that the Adventure can consider as surprise for motorist – this Mitsubishi vehicle is one of the most affordable vehicles available in the market! And this is why we’re including the practical aspect of the Adventure as a key motoring specification. As we may all know by now, owning and even driving a car isn’t exactly cheap. With many costs to consider, not to mention, the often expensive bills to pay when it comes to maintenance and gas consumption, an affordable yet reliable vehicle will always be considered as a welcome gift for motorists from all walks of life. And the Adventure doesn’t fail in this department. In fact, it definitely wins it, by creating a standard that affordability doesn’t have to be synonymous to “cheap” motoring performance and experience! 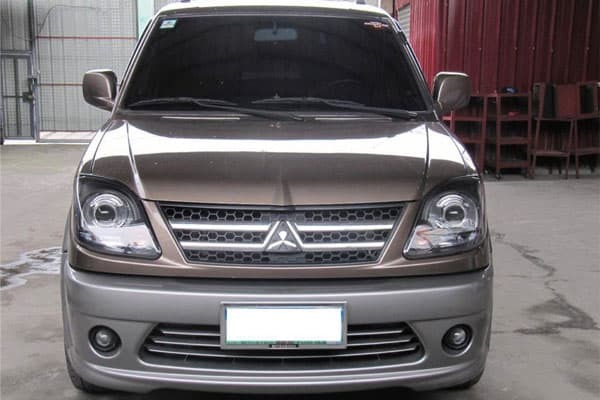 Speaking about gasoline consumption, the Mitsubishi Adventure maximizes a driver’s mileage with its 2.5 liter engine. With a built-in fuel injection system (based on a type that efficiently distributes the right amount of fuel into the vehicle), this car can deliver the least amount of mileage of 8 km per liter on urban roads; and a whopping top record of 14 for highways. As such, the Adventure definitely makes the most out of every precious drop of liquid gold in its tank! Even with its focus on fuel economy, the Mitsubishi Adventure does not lose out on needed motoring performance. Equipped with an efficient manual transmission (5-speed) gearbox system, drivers can hit an impressive leading speed of up to 160 km per hour if needed. Acceleration is even exciting – the Adventure can manage to go from a flat start to a high 100 km per hour in just a mere 15 seconds! When it comes to power output, the 2.5 litre engine is a 4D56 diesel type motor. With an SOHC valve configuration that comes with 4 in-line cylinders, the Adventure has an impressive record of maximum power output of 74.8 ps; a maximum torque of 148 Nm. The car’s boxy appearance makes it standout from the typical curves and shapely looks of most cars on the road. With its iconic radiator grille and chrome accents found all across the body, this car creates an image of a rugged, rough, and tough vehicle – which, as strange as it may sound, fits ever so soundly with its adventurous persona! Inside, the Adventure still brings about the basic and still beautiful appeal that majority of drivers may seem to be craving for today. Aluminum accents, similar to the chrome ones outside, are sprinkled all over within the vehicle. With a focus on substance or utility over style (such as the storage tray and spacious cabin), the priority on the essentials brings about a unique sense of appeal that will definitely delight both drivers and passengers alike. Lastly, we’d also want to briefly highlight one Adventure variant that will surely delight motorists with different driving styles. Although similar to the basic Adventure model, the GLX type introduces drivers to a more exciting and fun motoring experience. Please head on over to your nearest Mitsubishi dealership to know more about this dynamic model – you sure won’t be disappointed with the power and performance that the GLX has in store for you! Please let us know of your thoughts with the Adventure. Better yet, let us know of your fun Mitsubishi Adventure driving experience by leaving a comment below!